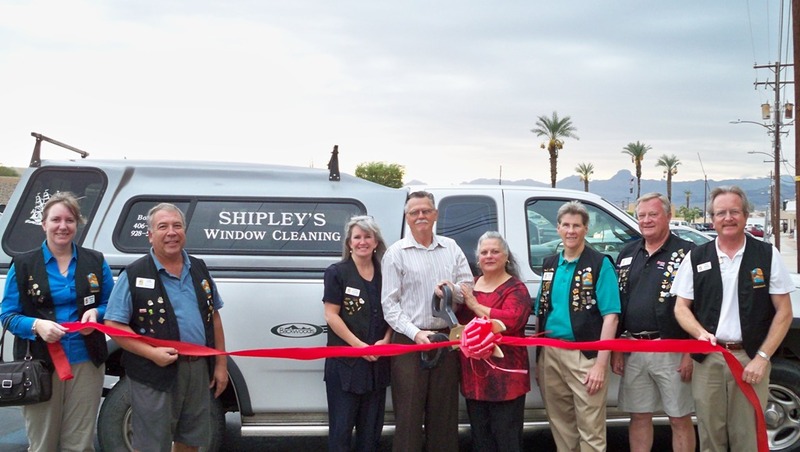 The Lake Havasu Area Chamber of Commerce welcomed new member Shipley’s Window Cleaning into the Chamber with ribbon cutting ceremony. Bob Shipley offers quality window cleaning for your home or office. On hand for the ribbon cutting from left to right are: Jeanette Luhr, Tom Otero, Kristine Novinskie, Bob and Joanna Shipley, Rick Broker, Marshall Ronningen, and Steve Bentley. For more information or for a quote call Bob at 566-4395.